I get pretty incensed when people tell me things like this, and I hear it often enough. I think most baristas face this dilemma every day on the job. Fortunately, I only have to deal with this when people ask about my hobbies or around the holidays when I see family. The rationale is relatively consistent; my opinion is not objective since taste is all subjective, thus my subjective classification of “good coffee” is biased. I have seen other taste-tests try to look at flavor preferences empirically that do a pretty decent job. So, in the holiday spirit, and since everyone in my family is a positivist engineer positivist, I concocted a little evaluation of my own. Thus, I proposed to my dad that we blind taste test different coffees to settle once and for all whether or not the average person or the connoisseur can tell the differences and taste the subtleties between good and bad coffee (generally speaking). I think if most people simply sit down and take the time to think try out a range of coffees, it’s relatively straightforward. So, my brother and I devised a simple, objective-as-possible study to compare the palates of (1) an average coffee drinker who claims to “know coffee” and (2) someone with a little more in-depth knowledge to appease those dubious of well-roasted coffee. We used two beans for the taste test. The first was a dark, over-roasted Columbia Supremo from Costco, the bulk “$10-for-a-crap-load-of-coffee” stuff that gets a fancy label. Worst of all, it was pre-ground. 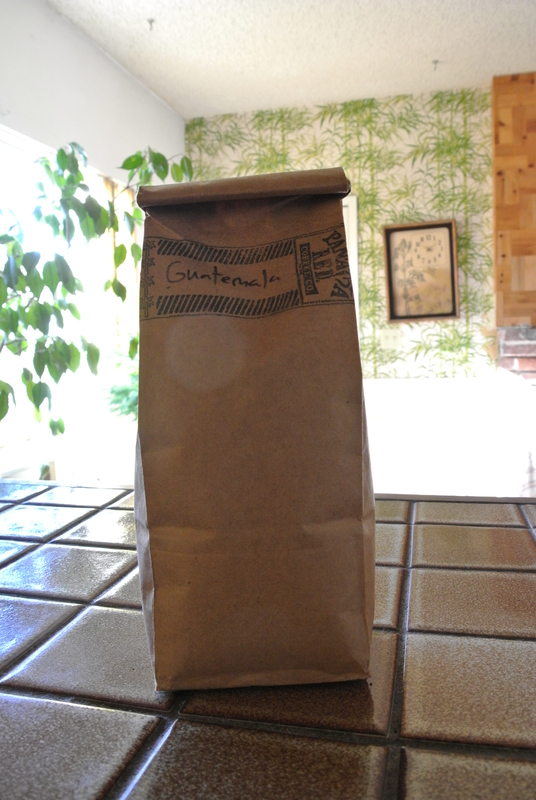 The second was a single-origin Guatemalan from Tony’s Roasters, given to me by my good friends at Panama Red Coffee. Definitely whole bean, but not roasted as recently as I would have liked. Brewing is just as important for flavor as the beans themselves. 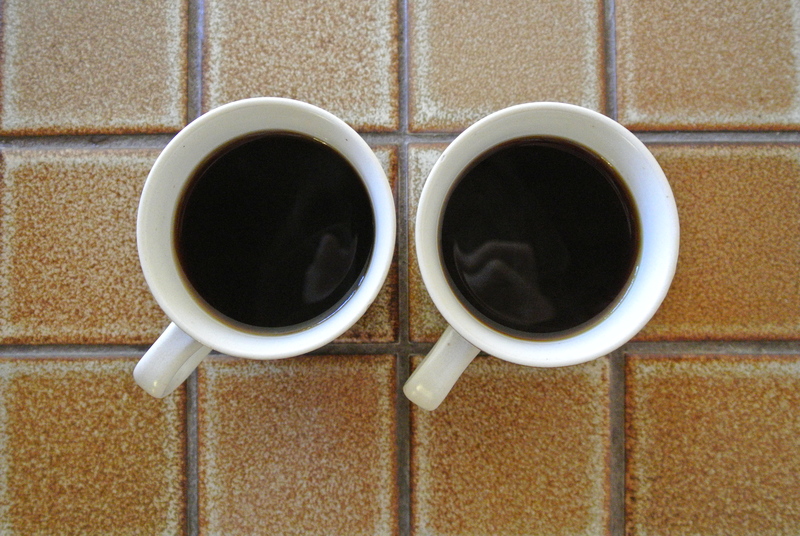 Both coffees were made at the same time, using equivalent volumes of water (the Supremo was made in portions for “the whole family”), but done through separate pour-over drip methods. I brewed the Guatemala by hand and my father used his automatic maker. So, from the very start, the preparation was going to be a dependent variable effecting the finished product. More importantly, the roast level and the grind differed drastically between the two beans, meaning the test was not exactly “fair” from the outset. However, I would like to point out that this was not a test between the beans’ qualities, but whether the layman and the semi-experienced can tell the difference between all these variables. Furthermore, I think the two cups aptly represented realistic scenarios found in daily life; the well prepared (enough) cup you get from a shop and the “old-left-in-the-pantry-for-months- whatever” we are so often left to endure. The results were pretty much as expected with some humorous twists. (1) Both my father and I could easily determine which coffee was the Supremo and which was the S.O Guatemalan. I think in a the side by side comparison, it would be pretty obvious to anyone.What I found interesting was how we determined the differences, illustrating contrasting methods for arriving at the same conclusion. Speaking for myself, I could taste the stale oils and the overly smoky, unpleasant aftertaste of the Supremo. On the other hand, the nuances of the Guatemalan were quite clear; smooth, moderately bodied, and, well, actually flavorful. My father, on the other hand, thought that the more pronounced taste of the Guatemala gave it away; for him, it freshness (and the aromas preserved in freshly ground coffee) that made the difference. My brother, knowing which was which, agreed that both methods of detection worked well for making this simple distinction. (2) Here is where it got a little more varied. I think it can go without saying that I preferred the Guatemalan. Sure, there are some large-batch, no-named coffees that are adequate, even good if ground and brewed properly. I have been pleasantly surprised by some mainstream coffees brewed conscientiously with experienced colleagues, just as much as I have been severely disappointed by totally botched brews done by inexperienced (or completely careless) baristas with artisan beans . Certainly, the preparation was (and always is) the deciding factor in the resulting flavors of our coffee. Admittedly, my father liked the Guatemalan better overall. In defense of his purchase, he thought I brewed a separate Supremo batch and used less coffee, thus weakening the flavor. He argued that if I had followed his “double drip method” (its as sacrilegious as it sounds; brewing the coffee once, then pouring the finished coffee through a second time), the Supremo would have, “definitely tasted better.” To his chagrin, I assured him that no, I used the batch he had brewed ten minutes earlier. Cornered, my father gave a sly smile and moved on to an opportunity cost analysis of our test. In the end, we both agreed that the Guatemalan was better. So, while several variables were not exactly controlled for, I would venture to argue that most coffees that the layman encounters on a daily basis (be it in a diner, a Starbux, the office, relatives house, an artisan store… wait…?) and create their coffee palates from are not adequately controlled either. The clearly different scenarios represented in these two cups are, I feel, pretty quotidian. I hope others are inspired to try this fun activity with friends, loved ones, or even total strangers for the purposes of education, enjoyment, and most of all, perspective. Happy holidays.